KFC is known for coming up with quirky creations. 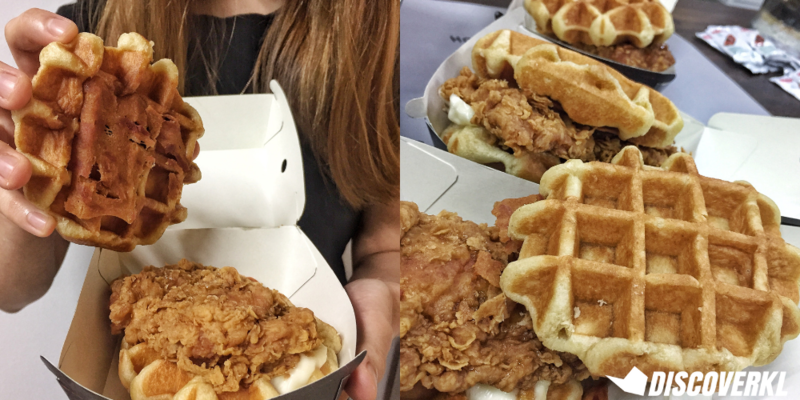 In the past, there’s been the Salted Egg Fried Chicken, the Chizza, and now, there’s the Fried Chicken Waffle Burger. 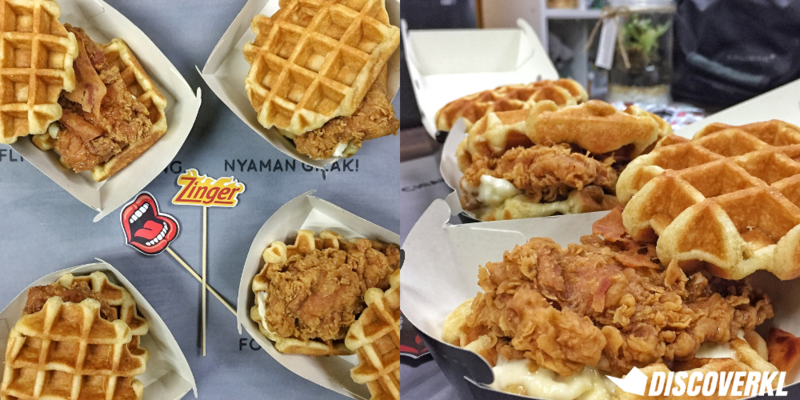 Their new Zinger Waffle burger launched nationwide on October 2 and we had our entire office try out the waffle burgers to get their thoughts on KFC’s latest product. It is similar to the original Double Down by KFC, but instead of having fried chicken patties as the “bun”, waffles are used instead. The regular buns that we all are familiar with has been swapped with thick Belgian waffles instead. Sandwiched in between are the spicy KFC Zinger fillet and crispy chicken strips, topped off with a drizzle of maple syrup and a touch of classic KFC mayo sauce. The Zinger burger has always been my favourite, hence naturally my expectations for this new twist was high. We had pretty good first impressions as the waffle burger was of a generous portion size. The waffles were unexpectedly thick, and so was the fried chicken patty. We’d give it 4/5 stars based on looks alone. But it only took one bite for us to reconsider our initial 4-star rating. Sure, it’s big. But the same can’t be said about the flavours. We found the waffles to be a little too dry. It was arduous trying to finish them and the small drizzle of maple syrup did not help much either. The waffles were also far too thick and taste more like day-old bread than it did a waffle. There were those who enjoyed the flavour of the waffles though and even likened it to a softer version of a honey butter biscuit. But the general consensus was how the waffle was just too dry to thoroughly enjoy. Perhaps, the only thing that stood out would be the Zinger fillet. The breaded chicken was exceptionally crunchy and seasoned to perfection. Some of us even went for seconds. Clearly, this new burger is not for everyone but if you’re keen to give it a go nonetheless, we’d advice you to top up your burger with some ketchup or chilli sauce. 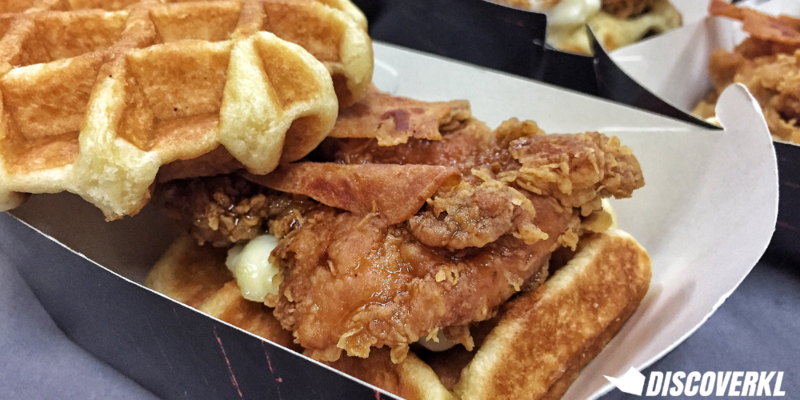 We’d still stand by the fact that the idea is a pretty good one and though it failed to be executed right, we’re not opposed to giving it another go if KFC reintroduces this dish with waffles which are moist and thinner. 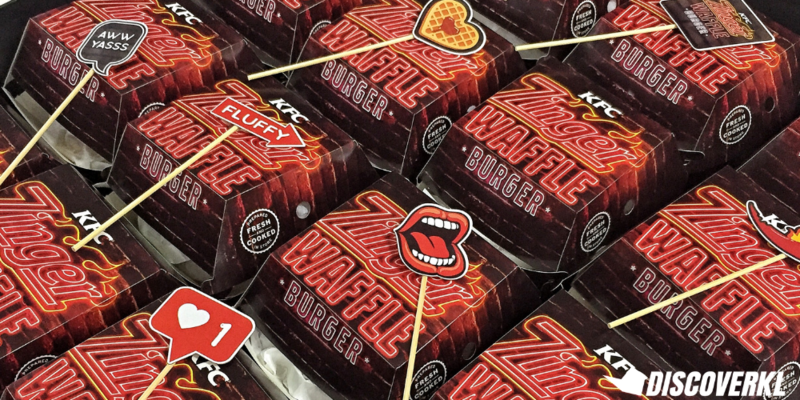 The KFC Zinger Waffle Burger is available in all KFC outlets nationwide, with prices starting from RM13.50 for à la carte options. The burger is a limited time offering and can also be purchased in a combo meal set, which comes with an additional Crispier Fries and Pepsi Black.